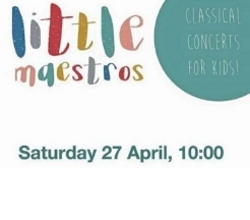 Little Maestro's invites families to come and join the fun as we discover the joy of Classical Music. With this concert series, aimed specifically at our younger listeners from birth to age 10, we offer a relaxed environment where little ears learn through Mozart, Bach and well-known nursery rhymes. This month we are focussing on the grandest of all the instruments: The Grand Piano! Excerpts from Carnival of the Animals and Mussorgsky's beautiful Pictures at an Exhibition will be heard as well as some other famous keyboard classics! Kids get to part-take in the music, playing singing and dancing along, followed by an interactive session seeing (and touching!) instruments up close. Bring along your little one's shakers and bells, and let's make some beautiful noise! 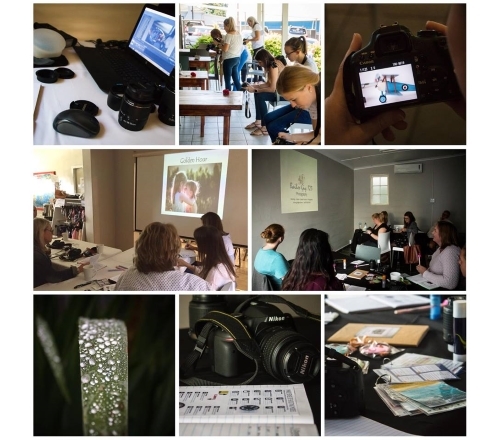 We look forward to hearing our regular host, Ilse Myburgh perform and tell us about this versatile instrument! A funk rock trio with influences pulled from jazz, neo-soul and indie folk. Shackles and Bones is pulling up to the 10 year mark of playing around South Africa and abroad. Although the band has changed members and evolved their style as they continue to explore music that makes people get down and “squeak tekkie”, their drive for dancey bops is not at the expense of contemporary dialogues. Subjects and themes from Shackles and Bones include an exploration into toxic masculinity, race privilege and gender fluidity. These messages are clearly reflected in Shackles and Bones’s sonic approach to creating music. Find them on all social media platforms. 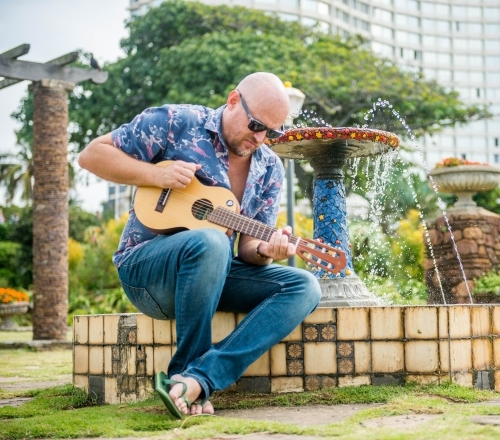 John Ellis is a singer-songwriter from Durban, South Africa. The principal member, guitar-player, vocalist and songwriter for the internationally renowned and award-winning band Tree63, he relocated back to his hometown from America after many years of international success to pursue a solo career. In 2010 he released his debut solo album, the politically-charged “Come Out Fighting”, which garnered him another SAMA nomination, and in 2011, in addition to his production work for other South African artists, he recorded his follow-up, an acoustic album entitled “Rural”, accompanied by Johnny Clegg drummer and percussionist extraordinaire Barry van Zyl. John is an accomplished guitarist, having featured on numerous American and British recordings, as well as on albums by South African artists such as Ernie Smith, Farryl Purkiss and Ard Matthews. John also lectures English literature, politics, communication, English as a second language and academic literacy. Khethelo Madondo and Igolide is a Durban-based band playing a mesh of jazz, soul, neosoul and traditional zulu music. Their influences include the likes of Stimela, Caiphus Semenya, Robert Glasper and Busi Mhlongo. A Sung Evensong for Palm Sunday. 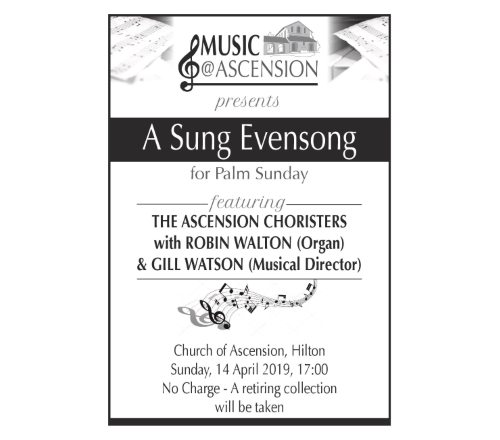 Featuring The Ascension Chisters with Robin Walton (organ) and Gill Watson (musical Director). News supplied by Church of Ascension. 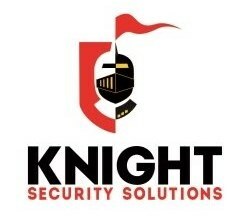 Deter criminals from targeting your house by ensuring you cut back trees and bushes. Investigate installing movement sensor lights and report broken street lights. Excessive foliage and pot plants placed in front of external PIR beams will not only result in possible false alarms, but also render them useless in detecting criminal’s approaching your house. If you have invested in these external PIR beams, please ensure that they remain unobscured. This will ensure that emergency services are easily able to locate your property. 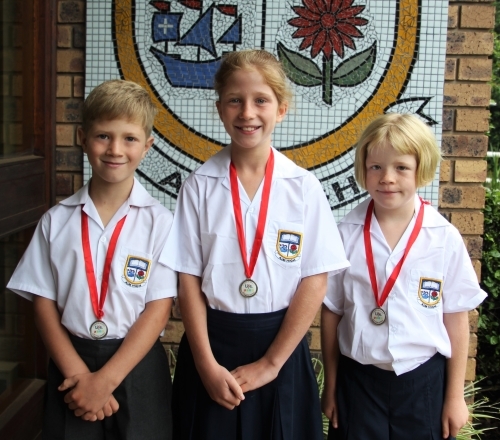 Laddsworth siblings Lily, Liam and Ella Freeman-Smith took part in the Mudskippers at the Cordwalles Mudman, which was held at Midmar Dam on Sunday 17 March 2019. 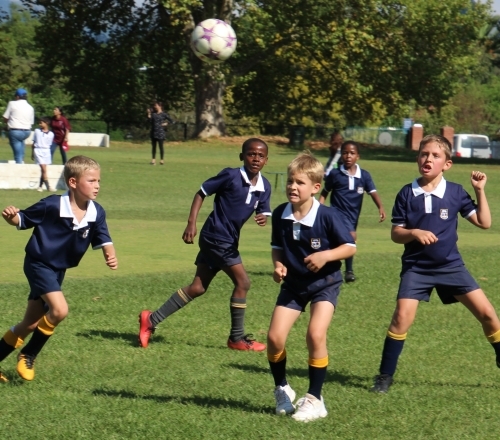 Laddsworth Grade One and Two boys enjoyed the first Mini Soccer Festival of the year at Howick Preparatory School on Tuesday 16 April 2019. Laddsworth fielded 8 teams, the Grade Ones Won 6, Drew 5 and lost 2 matches. The Grade Twos Won 8, drew 2 and lost 2 matches. Laddsworth Primary School collected a record of 5953 Easter Eggs for Siyabonga over the last couple of weeks. 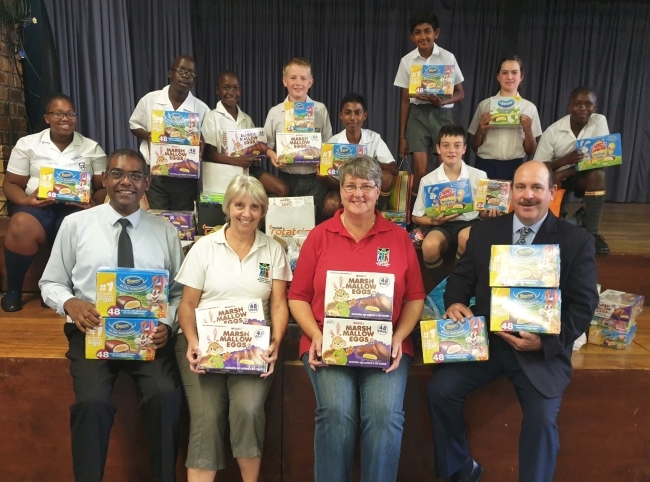 Education Managers, Mrs Kanzler and Mrs Ballantine from Siyabonga, collected the eggs at Assembly on Monday 15 April 2019. Laddsworth pupils have been part of the Easter Eggs collection project for the last nine years. Laddsworth has had an overwhelming response and this is by far the most collected. 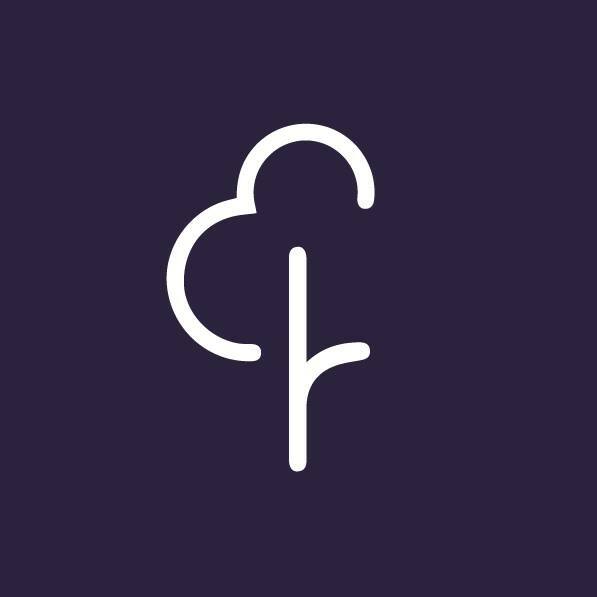 It is wonderful to know that we will be making a small difference to the lives of many young children. Siyabonga will hand out these Easter eggs to under-privileged children in the communities, which they support. 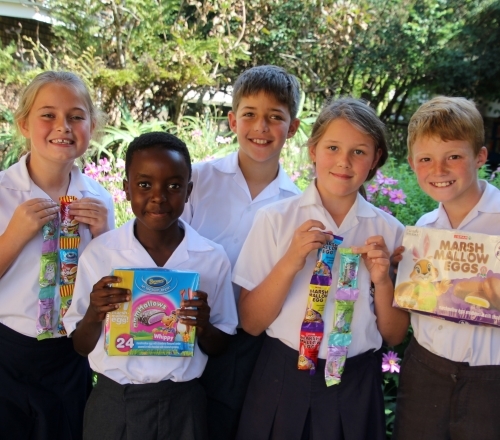 Pictured above: Grade 4 pupils L-R: Llewella Spence, Patrick Mbofana, Declan Bornman, Elizabeth Ackerman, and Matt Bissett with some of the 5953 Easter Eggs collected. Pictured below: Laddsworth pupils and Siyabonga Education Managers with the Easter Eggs collected for Siyabonga. iThemba camp. It's team building. It's the beach. It's laughter. It's connection. It's goofy fun. It's a whole lot of things... And we are so thankful that already 23 people have stepped forward as sponsors for campers! 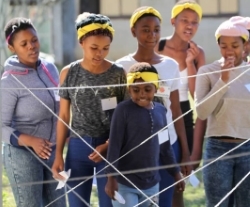 Campers cover some of the costs for camp, but the full cost is born by a group of people who have stepped forward to say, "The kids in Sweetwaters are just as important as my kids". Camp sponsors inspire us through their willingness to make camp happen for kids who wouldn't otherwise get the chance! 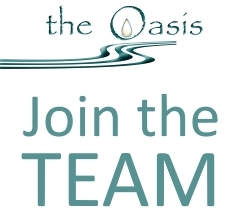 If you want to sponsor one of the remaining 77 campers, contact +27 (0)82 789 5821. 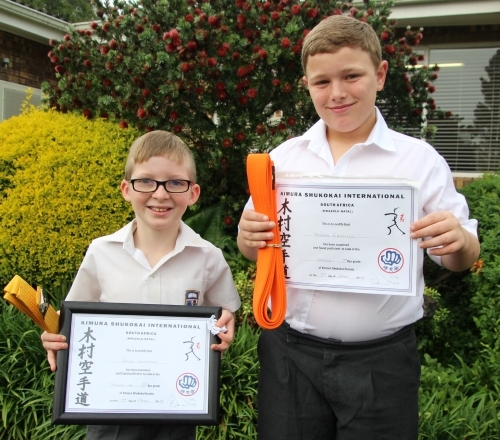 Patrick Lamb participated in the Under 12 age group and received Gold Medals for 100m Freestyle, 50m Backstroke, 200m Individual Medley, 100m Backstroke, 200m Backstroke. He received Bronze Medals for 200m Freestyle and 100m Butterfly. 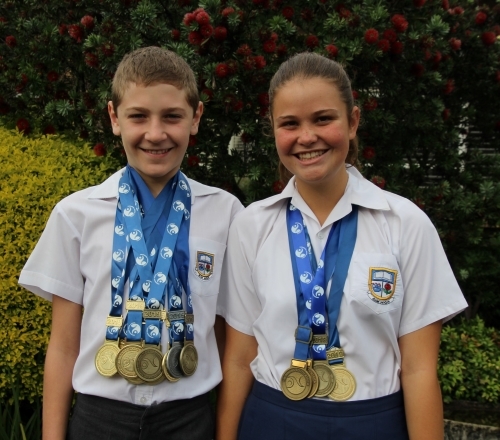 Patrick also swam relays for the under 13-16 Age Group and received Gold Medals for 4x 50m Medley and 4 x 100m Freestyle and a Silver medal for 4 x 50m Freestyle. Pictured here: Patrick Lamb and Georgina Francis. Easter specials at Tanglewood Nursery!! 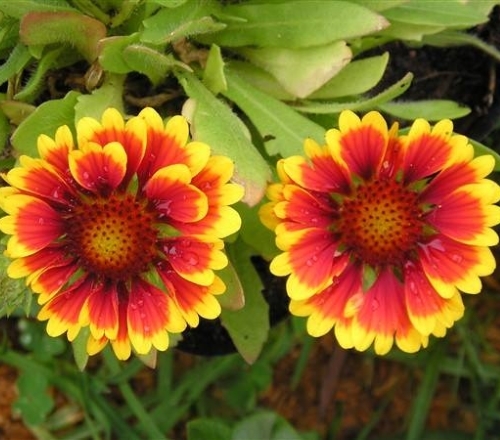 : At only R10.00 each, we have Daylilies, Gaillardia, Lampranthus, Arums, Plectranthus, Foxgloves, Evolvulus, Alternanthera, Cupheas and Grasses!! Don't miss out!! Our R10.00 special lasts until the end of April, or while stocks last! 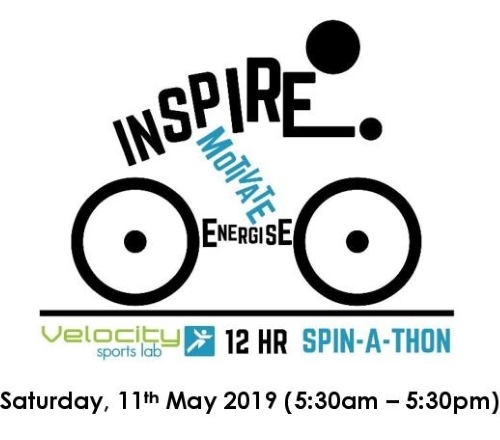 Only 12 spots available - please leave your email address to secure your spot. News supplied by Bailee Guy 123 Photography. • Activated Charcoal is blended into every filament for better and more efficient stain removal. • Activated Charcoal is also known to absorb chemicals such as chlorine from tap water. • Activated Charcoal’s absorptive and anti-fungal power cleans and purifies the teeth and gums. • Due to negative ions, Activated Charcoal prevents harmful bacteria from growing within the brush between uses. • Environmentally friendly and sustainable bamboo handle. 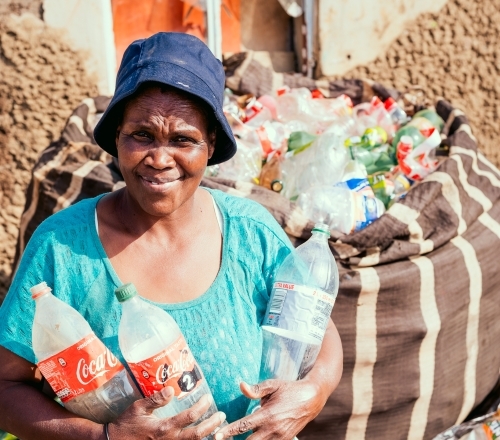 And did we mention that they're biodegradable, so no nasty plastic hanging around for hundreds of years? 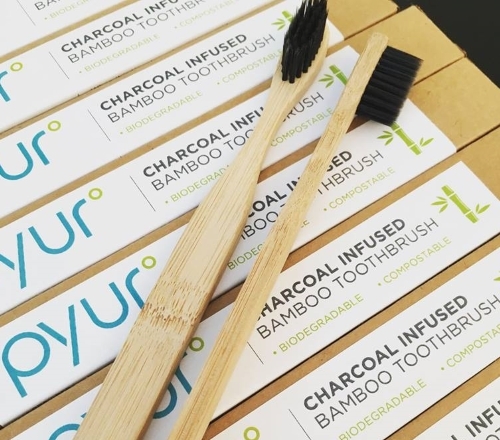 Charcoal Infused Bamboo toothbrushes are in stock now. News supplied by Healthy Times.